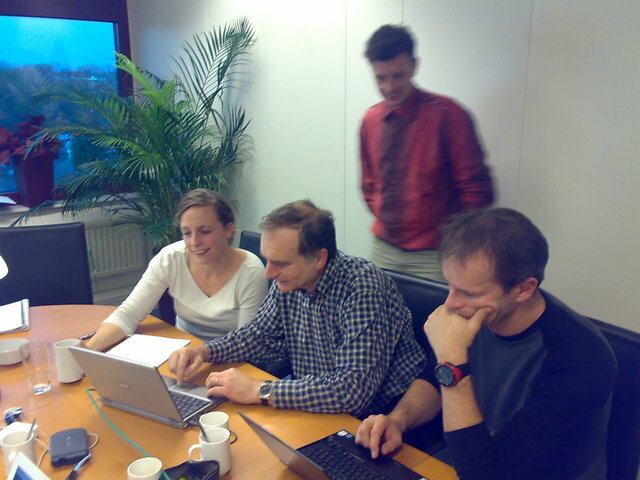 Hans in a HRM and restoration course, SVI headquarters (The Netherlands), 2007. 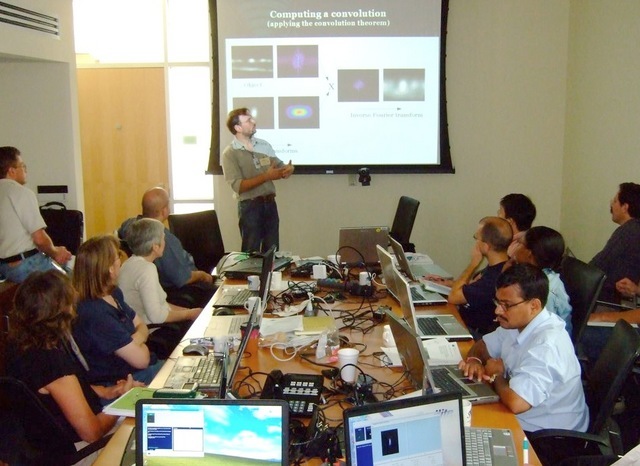 Jose in a microscopy and restoration course, NIH (Bethesda, MD), 2007. 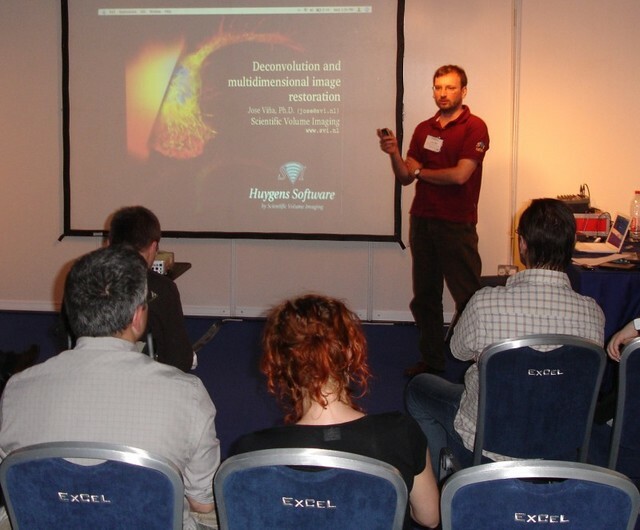 Jose on a SVI Workshop at Microscience 2006. 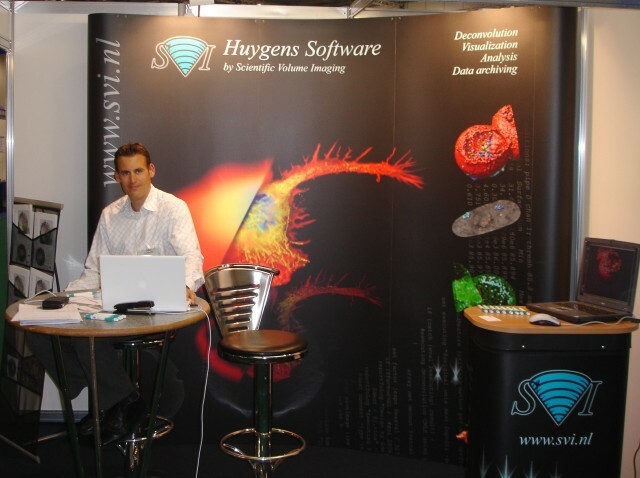 The old booth at the ASCB 2005 meeting in the Moscone center, San Francisco. 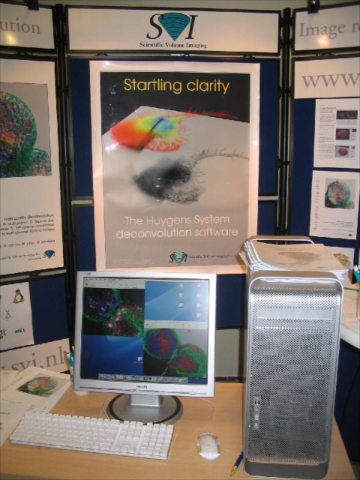 The booth at FOM 2005 showing Huygens Software running on a Apple dual G5 computer.